Narendra Modi is set to hit the campaign trail from March 28 for the upcoming Lok Sabha elections that gets underway with the first phase of polling on April 11. He will address a rally in Udaipur on April 6 next. PM Modi will kick-start the election campaign with rallies in Jammu and Kashmir, Uttarakhand and Western Uttar Pradesh on March 28.He will be addressing a rally in J-K’s Akhnoor, party leaders said on Monday. 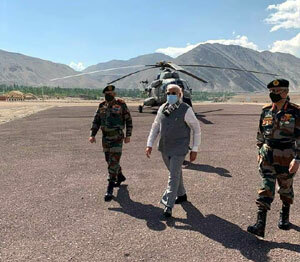 In view of the PM’s visit, security arrangements were reviewed in the state which has been witnessing heightened militant activities in the Kashmir Valley. “Prime Minister Narendra Modi will address a public rally to be held at Panchayat Doomi, tehsil Bhalwal, in Jammu on March 28,” BJP national vice-president and in-charge of the state Avinash Rai Khanna told reporters here.The grand start of the BJP’s ‘Vijayrath’ in the region will take place from this rally, Khanna said.The BJP has fielded its sitting MP Jugal Kishore Sharma, who was elected in 2014 with a margin of 2.26 lakh votes, from the Jammu-Poonch Lok Sabha seat, which will go to polls on April 11.The party is likely to face some opposition from rebel BJP candidates like Chaudhary Lal Singh who may contest the polls. Ahead of the prime minister’s visit, the Centre has banned the Jammu and Kashmir Liberation Front under various provisions of the Unlawful Activities (Prevention) Act, holding it responsible for killings of Kashmiri Pandits leading to their exodus from the valley.This will be the first visit to the state by the prime minister after the February 14 terror strike at Pulwama in which 40 CRPF personnel were killed.Modi is scheduled to visit Jammu region again in the second week of April for a rally in Kathua. The BJP has given fielded sitting parliamentarian and Minister of State in PMO Jitendra Singh from Udhampur. Modi is scheduled to attend election rallies in Jeypore on March 29 and Kalahandi on April 1, the party’s Odisha unit spokesperson Golak Mohapatra said on Sunday.Ahead of Modi’s tour, a galaxy of BJP leaders, including six Union ministers, are slated to visit the state to give momentum to BJP’s electioneering.Assembly elections in Odisha is slated to be held along with the Lok Sabha polls in four phases from April 11.Further on, PM Modi will campaign in Assam on March 30, BJP leaders said.Bharatiya Janata Party sources on Saturday said that the Prime Minister will be addressing two rallies at Moran in Dibrugarh Lok Sabha constituency and Gohpur under Tezpur constituency.While BJP`s sitting Dibrugarh MP, Rameswar Teli, is seeking mandate for a second term, state Labour Minister Pallab Lochan Das has been fielded from Tezpur, replacing sitting MP Ram Prasad Sarmah. While Dibrugarh is a tea tribe-dominated constituency, tea tribe voters are also one of the deciding factors in Tezpur constituency.Both Teli and Das hail from tea tribe community.Campaigning has picked up in Assam, particularly for the five constituencies – Lakhimpur, Tezpur, Jorhat, Dibrugarh and Kaliabar – going to polls for the first phase on April 11.The Prime Minister has covered 22 states touching over 100 Lok Sabha constituencies in two months.After his initial string of rallies, Modi had taken a break to focus on poll preparations, including selection of candidates and seat-sharing arrangements with allies.BJP chief Amit Shah addressed 45 rallies covering 130 LS seats till March 7, starting with his first address in Tripura on January 5.Now he will take part in road show on Thursday in Agartala. The party has also revived ‘Mission 123’ — winning as many as possible the 123 seats that the BJP contested but did not win in the Modi wave that took it to an unprecedented 282 seats in the 2014 Lok Sabha elections.